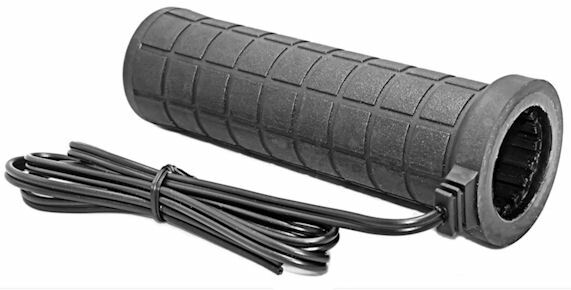 Our Top of the Line ATV grip. 5.25" long - a perfect fit for most ATVs with 7/8" handlebars. Patented Heating Elements can't burn-out. Variable adjustable heat�is an option. CUSTOM OPTIONS - all our grips�have a three position (high,low, off) weatherproof toggle switch. Optionally you can substitute a handlebar mounted switch,�mini toggle switch or infinitely variable heat controller. �NOT for aluminum handlebars, as the aluminum acts like a heat sink, drawing away much of the heat.� Filling aluminum handlebars with ANY form of insulation is virtually ineffective.